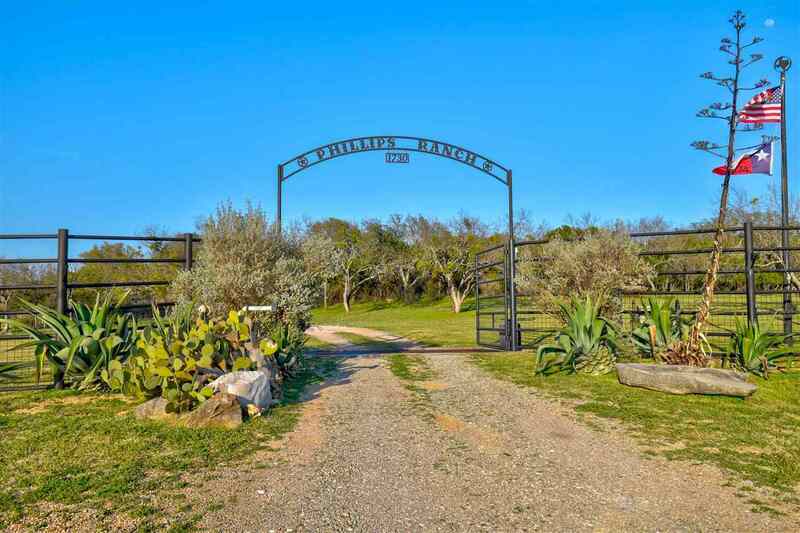 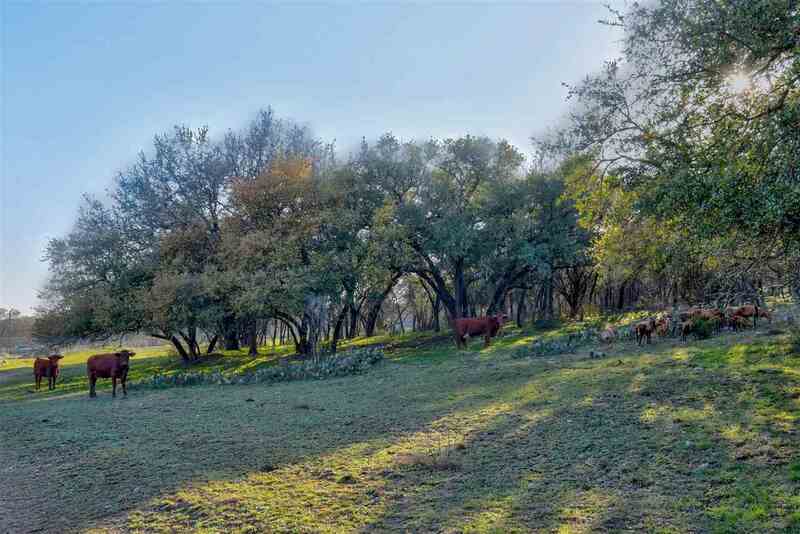 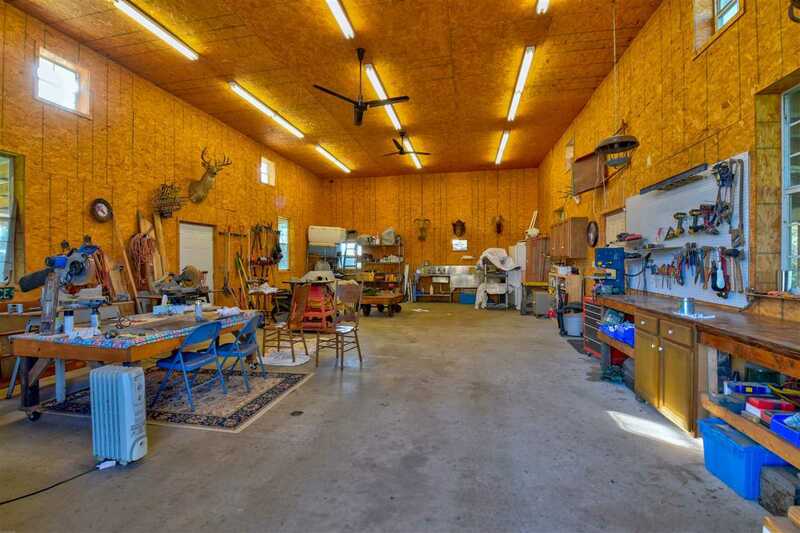 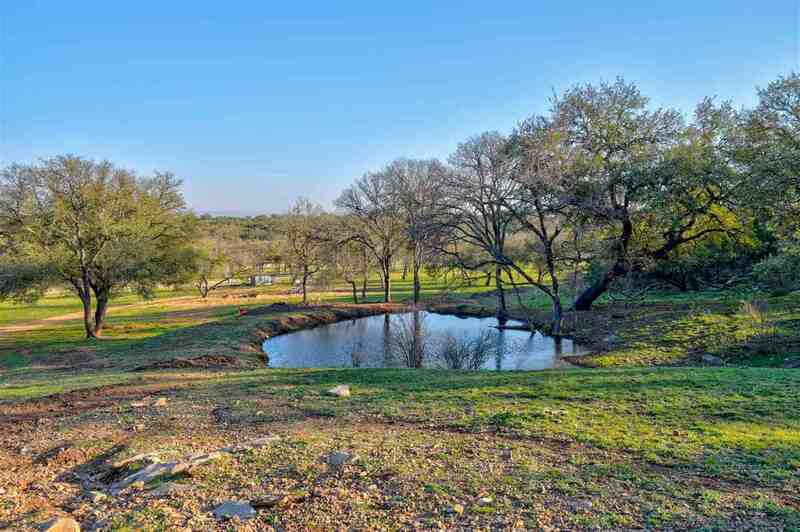 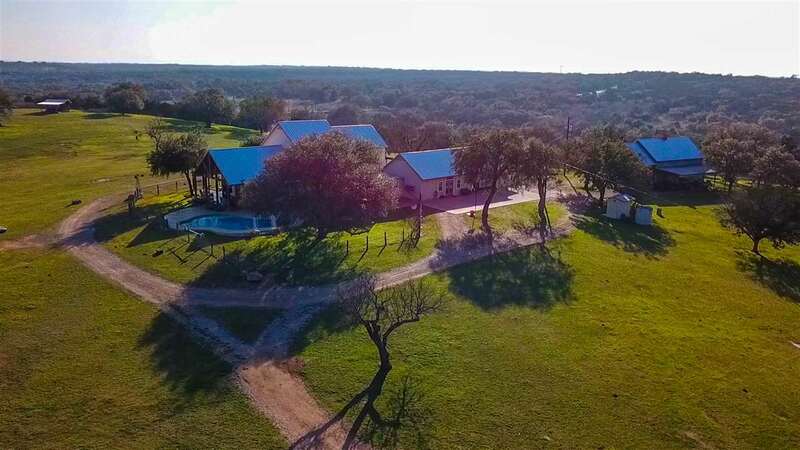 Incredible 41 acre ranch only 8 min f/ MF w/ a beautiful custom built Ranch-style home perfectly nestled on a hilltop w/ amenities of a showplace, rolling hills & spectacular views. 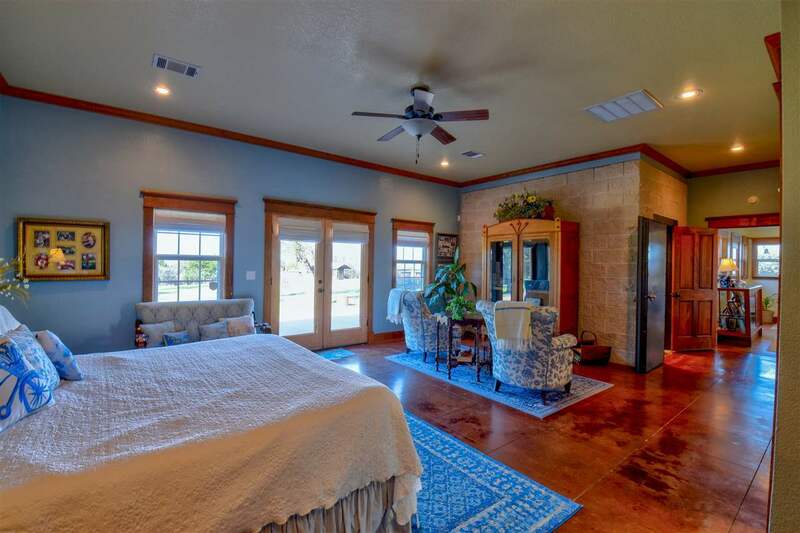 The rustic yet upscale, beautiful custom built Hill Country Ranch-style home was newly constructed in 2007 to respect the history yet make it luxuriously current includes a pool, lg great rm w/ vaulted ceiling, FP, 2 din, gmrm w/ wet bar & copper counter as well as an incredible kitchen open to din & liv. 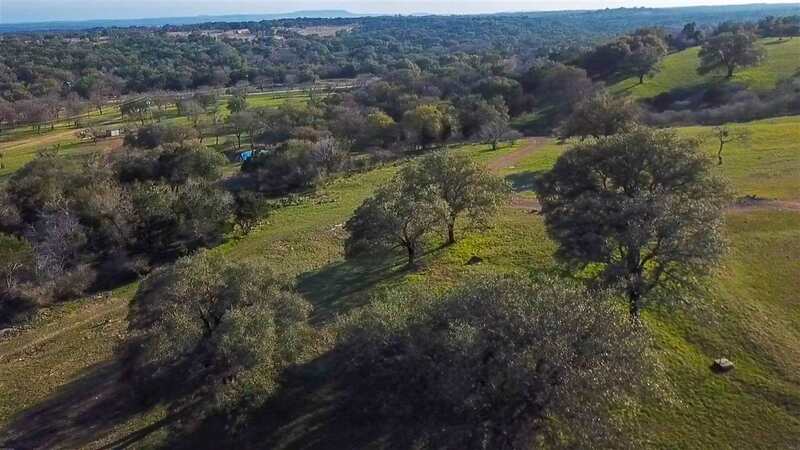 Many wonderful unique features: Org. 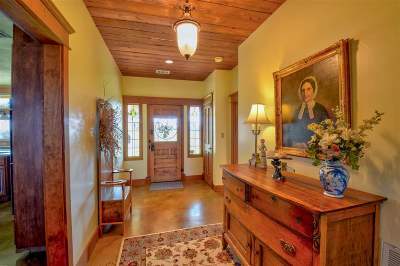 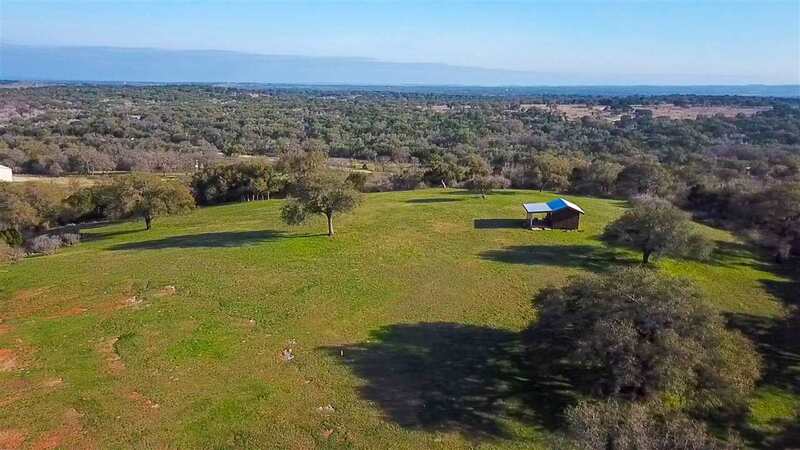 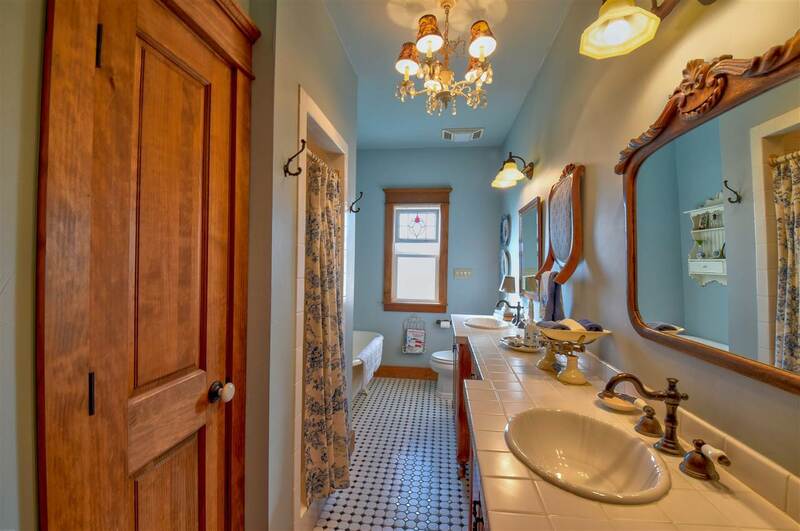 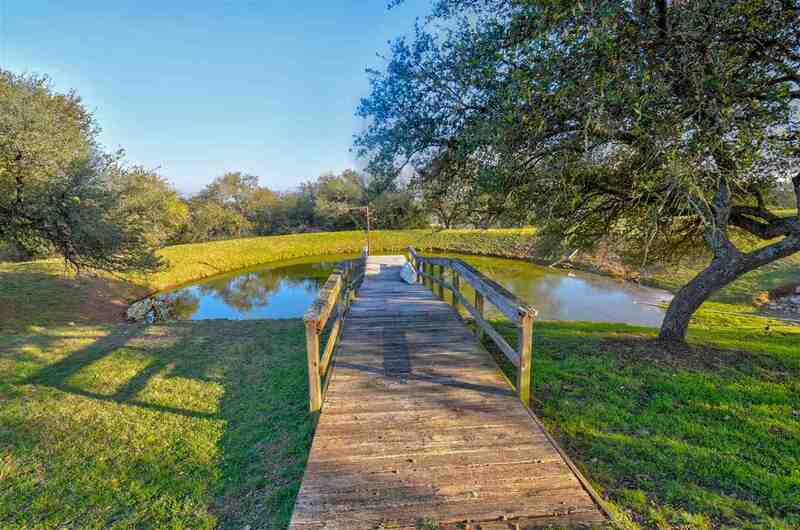 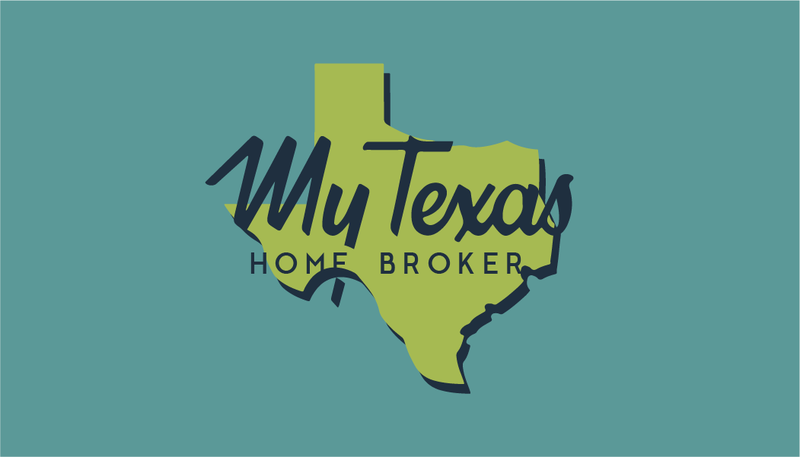 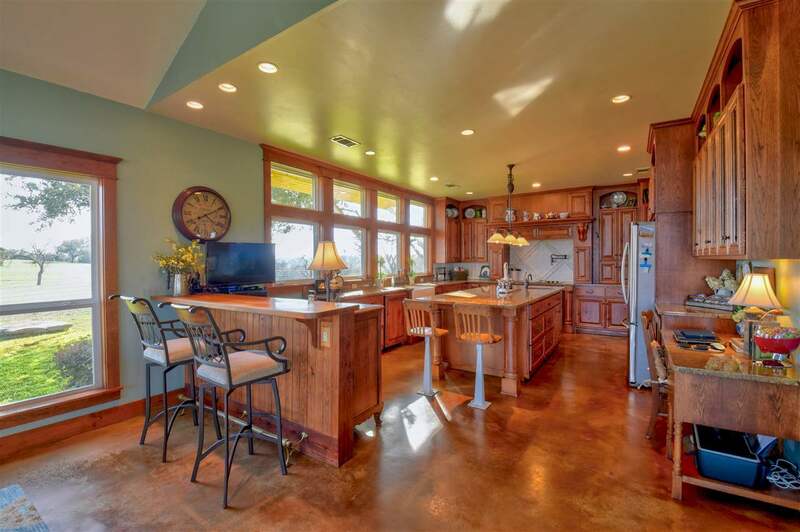 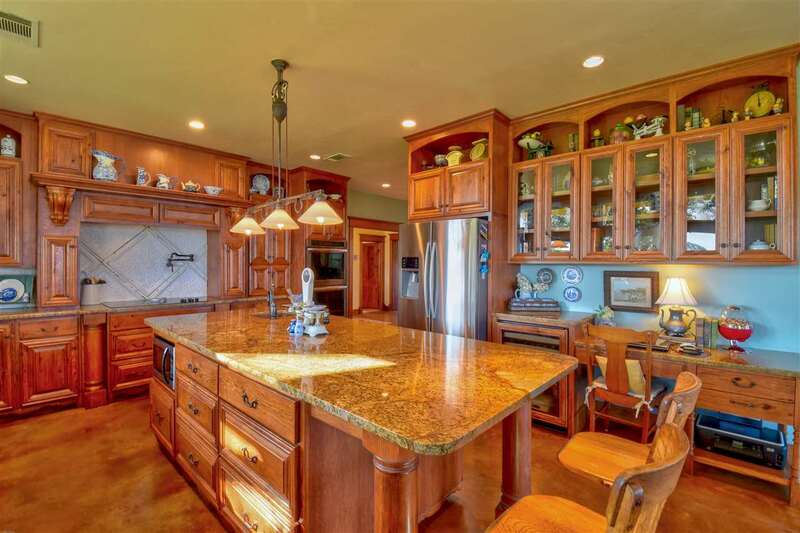 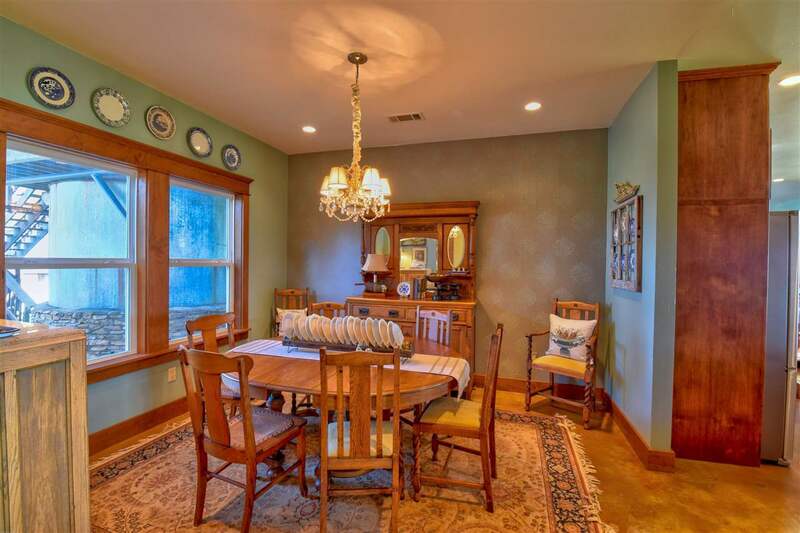 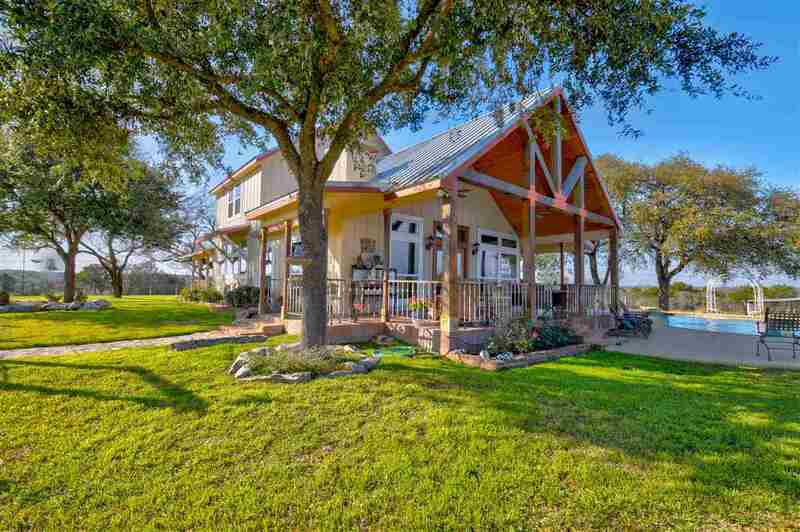 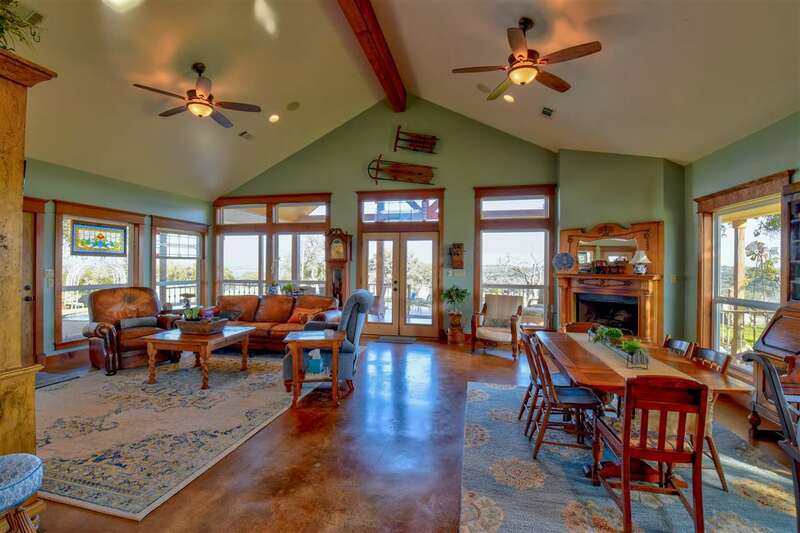 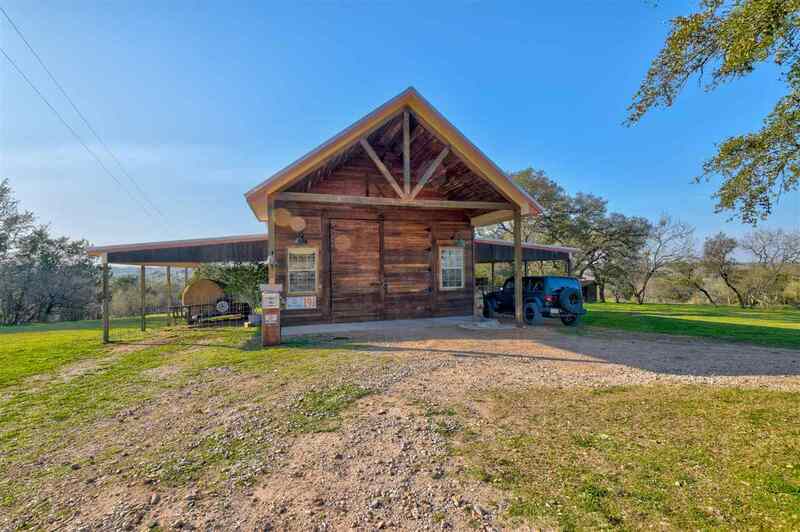 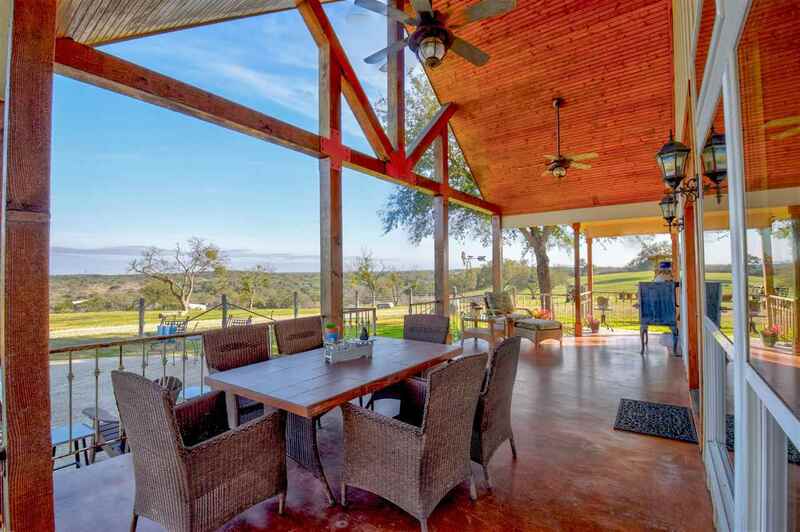 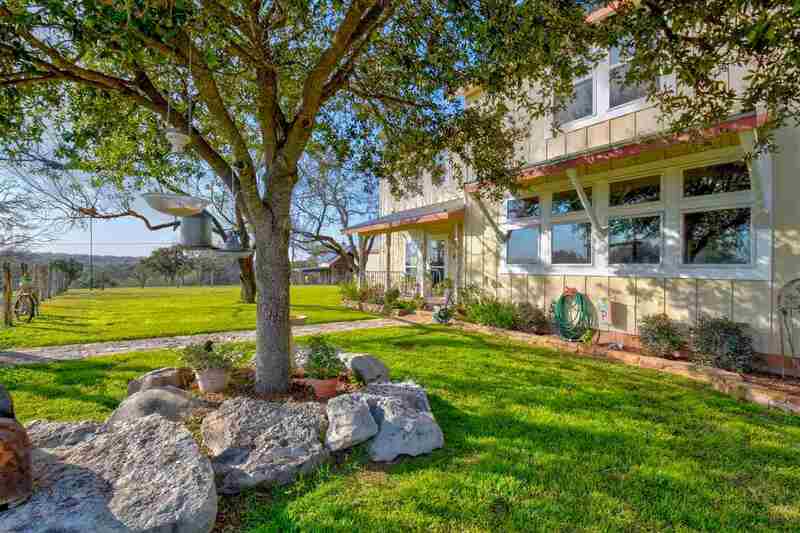 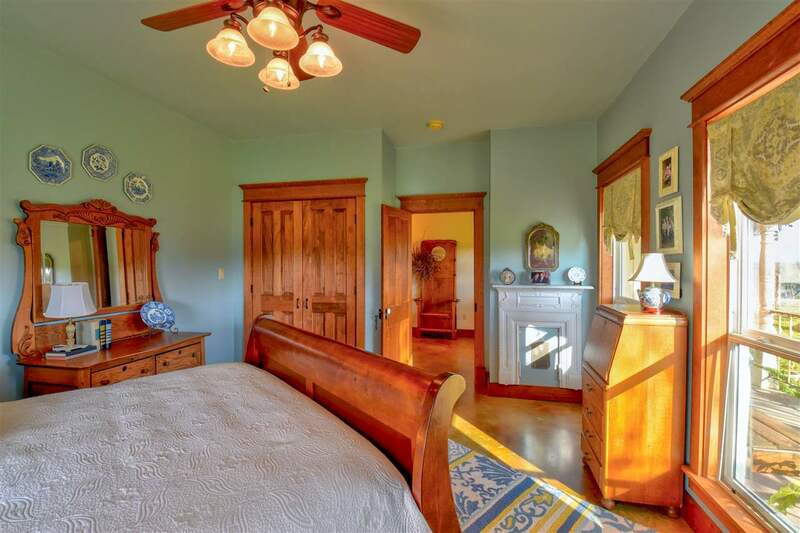 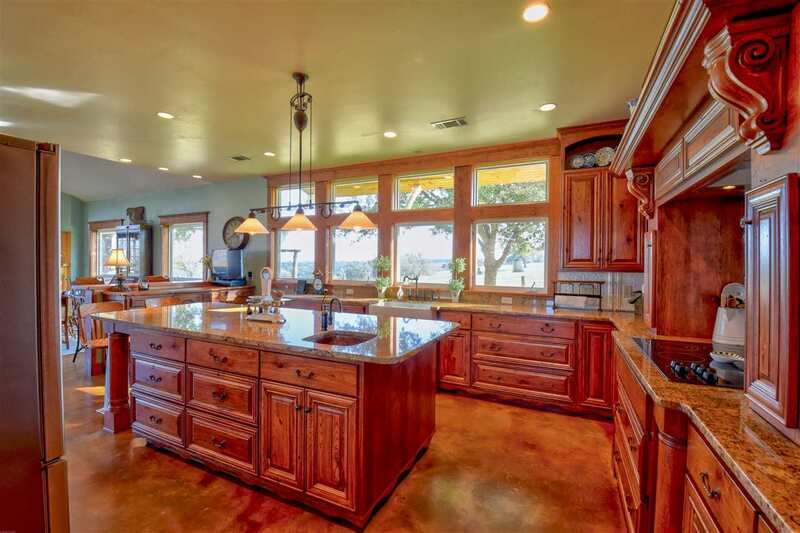 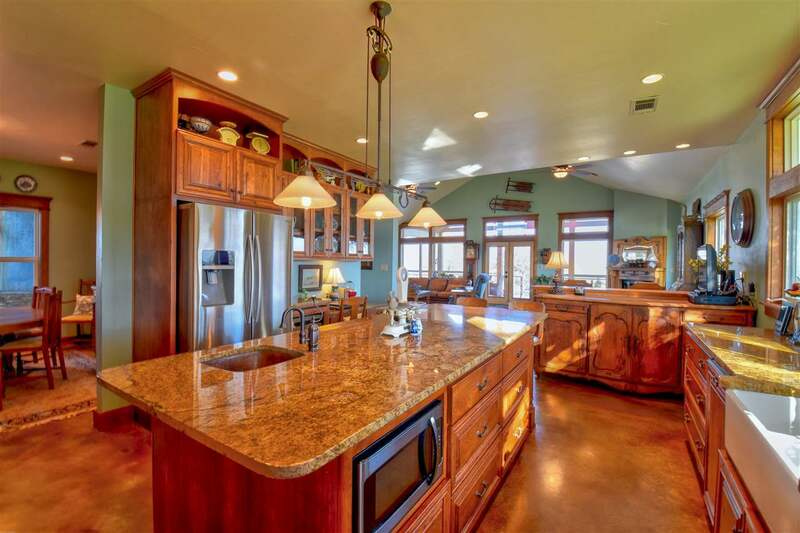 wood doors, wood ceiling in front hall, 1915âs clawfoot tub & gorgeous 1915 front door all f/ original farmhouse, stained concrete & wood flrs throughout, recessed lights, high ceilings & tons of lg picture windows to take-in the amazing Hill Country views. Master suite w/ high ceiling, stained flrs, lg sitting area, jacuzzi style tub in huge walk-in doorless shower rm decked out w/ attractive slate tile, antique dresser holds Vessel sink to add a touch of class, a conveniently located laundry rm in master & additional W & D connections in the 2.5 car garage just off of the master as well as a lg, incredibly unique closet inside a walk-in bank vault w/ an in-ground safe & so much more. 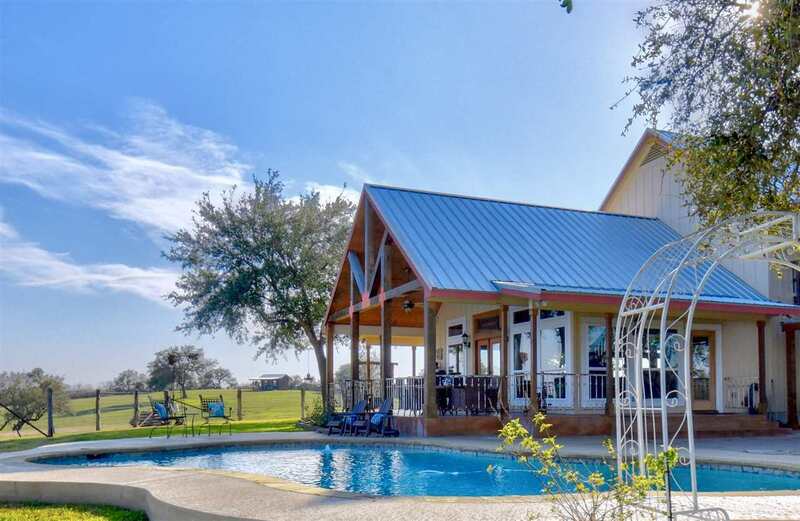 Magnificent 25'X40' Barn w/ cupola, 16' overhang on each side, hot/cold water & insulated too. 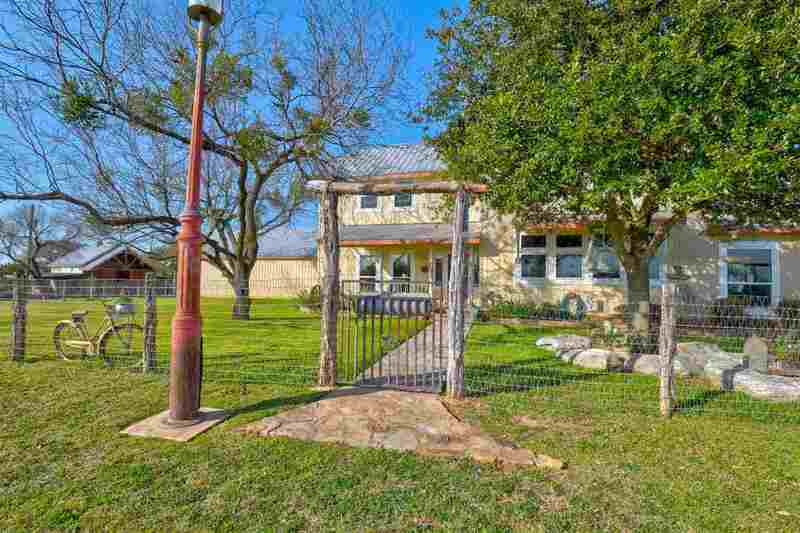 Barn doors made f/ old wood f/ Tow, Tx. 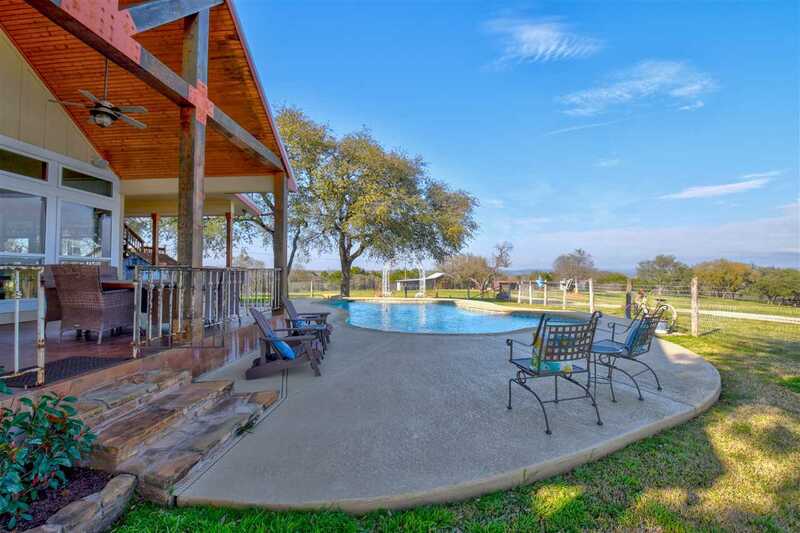 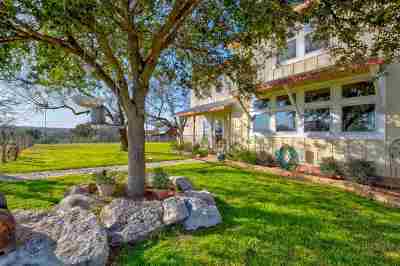 This Countryside Ranch home has gracefully matured into a classic Highland Lakes beauty w/ the heart of a hill country tomboy.